SEASON PASSES, CARDS, SEASONAL EQUIPMENT PACKAGE, & LOCKERS. Save on lift tickets when you purchase online 7 days or more in advance of your visit. Don't miss out, there are a limited number of discounted advance purchase lift tickets that are available on a first come, first served basis. Christmas Week (December 25, 2018 - January 1, 2019), Martin Luther King, Jr. Day (January 21, 2019 9am - 9pm), & Presidents Week (February 18 – 22, 2019). Children 7 & younger are always FREE with an adult purchase. Purchase a March Madness Pass for only $199 and enjoy unlimited skiing/riding for the rest of the season starting on March 1st. Looking for an extra level of convenience? Add the luxury of a Season Locker for only $75 more (for the rest of the 2018-19 season). Receive a FREE March Madness Pass with the purchase of a pair of Elan demo skis or with purchases exceeding $500 (excluding sales tax) in Bristol Ski & Sport. The summer rates are available through September 16th. Prices will increase on September 17th. The perfect pass for snow lovers! Enjoy the convenience of this anytime pass for the 2019-20 season. Available for immediate family members and their children up to and including the age of 22 at the time of purchase, living at home or full-time college students. Free Executive Pass for your children seven and younger at time of purchase. Birth certificate required. One complimentary Fall Sky Ride Ticket. One time 15% Discount at Bristol Ski & Sport and the Tuning Center. One time half-price discount at the Demo Center. Up to 50% off Lift Tickets at participating Mountains of Distinction Resorts. Early Bird Perk - Access to Comet Express 30 minutes before opening on selected dates. 50% off the cost of a full-day/full-price ticket during non-holiday dates, Monday - Friday. $15 off the cost of a full-day/full-price ticket during holiday dates & Saturday - Sunday. Only available for Executive Season Passholders. Split your Season Product purchase into monthly installments. 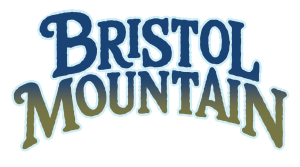 With the payment plan option Bristol Mountain will charge the credit or debit card account on the initial date of purchase and on the 15th of each subsequent month with the final installment being withdrawn on September 15, 2019. The number of payments will be based on the purchase date. The full terms and conditions of the Payment Plan will be made available when the item is selected for purchase. Season Cards are transferable and can be used multiple times in a single day by different people. Season Cards are not sold after December 31st. The summer rates are available through September 16th. Prices will increase on September 17th.